Becker Marine System has announced the opening of an office in Kobe, Japan, as the German company is continuing its entry into Asian countries such as China, Japan and South Korea. In addition, Becker has entered into a manufacturing partnership for producing container ship rudders with Murakami Iron Works. 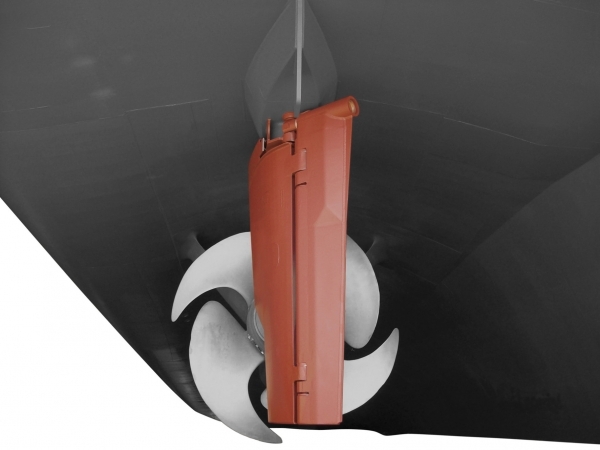 The company said it has recently delivered the largest flap rudder in the world to Hyundai Heavy Industries for maneuvering and energy-saving solutions for two 19,200 TEU container ships for MSC. The rudders are more than 10 meters tall and weighs about 300 tons, measuring 78.5 square meters. They are designed to provide extra maneuverability for the 400-meter long ships, whether moving quickly or slowly, and in tight quarters such as on the River Elbe or in the Suez Canal. With special coatings, Becker said the rudders also meets the latest environmental requirements and the requirements of the U.S. Coast Guard.